Your will must comply with legal formalities to be valid. If it doesn’t pass muster for any reason, your heirs will have to make an expensive application to the High Court to have it validated. Unless the terms of your will are crystal clear, you could ignite a bitter family feud over what your wishes really were, and that’s the last thing your grieving loved ones need to be dealing with in their time of distress. Our law reports are filled with cases caused by imprecision, ambiguity and vagueness, and sometimes there is just no substitute for the legal terminology and the “Latin bits” – unless you fully understand them, don’t go there alone. 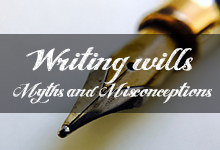 Your marital status, marital regime and ante-nuptial contract (if you have one) need to be taken into account when drawing your will, and there are grey areas here which are best left to a professional. If you have foreign assets, you may need a foreign will as well as a local one, but there’s “no one-size fits all” answer - specialised advice is essential. The structure of your will, and upfront estate/tax planning, will reduce unnecessary cost and delay - another issue beyond the average layperson. A last point – not strictly part of the process of drawing the will but still vitally important – is to leave your heirs with ready access to funds whilst the estate is wound up. All your bank accounts and the like are automatically frozen on death so ensure your heirs have their own bank accounts, nominate them as beneficiaries of life policies etc. Airbnb is an increasingly popular and lucrative way for residential property owners to earn extra income from short-term rentals of spare rooms, holiday houses, apartments and the like. You need to provide for taxes. 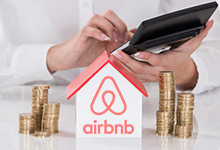 SARS has recently confirmed that your Airbnb earnings (after deduction of allowable expenses) are taxable and must be included in your income tax returns. You will also have to register for VAT if your rental income exceeds R1m per year. You must comply with the “permitted uses” applying to your property under your local municipality’s zoning regulations. If you are in a community scheme (Sectional Title or Home Owners Association) check whether the scheme’s rules and regulations allow short-term rentals of this nature, and if so what restrictions apply. Remember you are responsible for any breaches of the rules and for any unlawful or bad behaviour by your tenants. We buy and sell things every day, and no doubt most of us assume that it is only when we become the owner that we take the risk of our purchase being damaged or destroyed. Not always – in our law, passing of ownership and passing of risk are two different concepts, and although in our day-to-day lives they are normally simultaneous, sometimes they aren’t. A buyer becomes the owner of a movable only when it is “delivered” to him/her (be careful here - “delivery” is a much more complicated concept in law than you might think). Risk however passes to the buyer on conclusion of the contract of sale; in other words, you could buy something, and if it is stolen or destroyed before you take ownership, you could end up losing both it and the purchase price. There are many provisos and exceptions to this rule (such as when the seller causes the loss) but the legal principles are complex and all in all it’s a minefield for the unwary. A recent SCA (Supreme Court of Appeal) decision illustrates two particular dangers. A buffalo dies – whose loss? A game farmer sold a bull buffalo to another game farmer. Before delivery to the buyer, the buffalo had to be tested for disease, which meant darting it to draw a blood sample. The darting itself went well, but the buffalo naturally enough made a run for it and could not be found in time to prevent it from lying down and suffocating. Whilst on top of the truck in which the buffalo had been transported, the buyer decided then and there he wanted it, and the parties agreed verbally on a sale at R1m + vat. The buyer, said the seller, also specifically agreed to assume the risk of death or injury arising from the darting and sedation. The death resulted from the darting operation. The buyer at first denied everything, but, by the time the parties ended up in the Supreme Court of Appeal, he had conceded all three points. He argued however that the seller had to deliver the buffalo before claiming payment, that it was up to the seller to prove that his conduct hadn’t caused the buffalo’s death, and that the seller’s inability to deliver (“impossibility of performance” in legal speak) was self-created. Having resolved a number of factual disputes in favour of the seller, and holding that the buyer’s specific contractual assumption of risk arising from the darting operation made the question of “self-created impossibility of performance” irrelevant, the Court held that it is the buyer who must suffer the loss. The end result therefore – the buyer is down one buffalo, R1.14m, and legal costs (which, after three bouts in senior courts, will be substantial). Relying on a verbal sale agreement is a recipe for disaster - dispute, delay, and the costs and frustrations of litigation. Rather have your lawyer record in a written contract, in the clearest possible terms, exactly what you have agreed to in regard to the passing of ownership and the passing of risk. 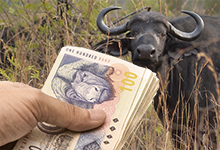 If you accept the danger of loss from a “high risk event” - such as sedating R1m worth of wild buffalo – you’d better have deep pockets. 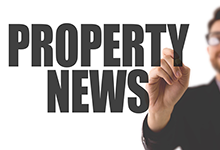 The seller said it only owed R1,2m but it was forced to pay – with reluctance and “under protest” - the whole amount due in order to get the clearance certificate. It then sued the municipality for return of the R1,066,532 “overpayment”. “Sick building syndrome” caused by poor indoor air quality has been linked to illness and lack of productivity around the world. One easy way to fight it is to decorate with pot plants. Not only do they help in purifying the air of all the toxins we put into it with our cleaning chemicals and household products, they are also credited with many other benefits such as lower stress levels and increased happiness and productivity. And who better to find the best plants for the job than NASA, with its focus on the well-being of astronauts in space? Wikipedia’s “NASA Clean Air Study” article has a chart detailing which air-filtering plants are most effective at removing horror pollutants like benzene, formaldehyde, trichloroethylene, xylene, toluene and ammonia. Pay attention to the last column “toxic to dogs, cats” and in particular watch out if babies or children might be able to reach any of them.